A glycerite is a preparation that uses glycerin to extract the constituents from an herb. Glycerin is both a solvent and a preservative and good for preparing children’s remedies because of its sweet taste and lack of alcohol. Such preparations can be stirred into juice. They are also a good choice for people who do not want the alcohol in tinctures. Since glycerin can be chemically synthesized, it is best to ask for pure vegetable glycerin when purchasing. Glycerin is the sweet principle of oils, obtained by the hydrolysis of vegetable or animal fats. For herbal preparations, vegetable glycerin is preferable as it is usually made from coconut oil. Glycerin is somewhere between water and alcohol in solvent and preservative strength and has a wide range of uses in medicine. It can help them remain moist and contribute to a drawing, antiseptic, and emollient quality. Glycerin is able to bring oils and tinctures together into a smooth, easily applied blend making a good medium for combining various forms of herbal preparations. Glycerin can be used undiluted, in a small quantity, as a rectal injection or suppository to immediately relieve constipation. When mixed half and half with rosewater, it provides a good skin emollient. Glycerin is soothing to the skin, and moisturizes without feeling greasy. When mixed with 25% alcohol, it can be applied to acne, acting as a strong drawing agent. When mixed with 25% water, it helps relieve itching skin. Pour herbs into a clean jar. Measure out glycerin and add distilled water to it. Pour the glycerin/water mixture over the herbs. Macerate for at least two weeks, agitating daily. Essential oils can be added to a glycerite to enhance the flavour and aroma. Tangerine, orange, lemon, and mint oils are especially popular. With a whisk, blend the glycerin and water together in the top of a double boiler (of course, adding water to the bottom). Stir in the gelatin and heat the mixture over a medium-high heat until it turns clear. Pour into a shallow glass pan to set. This formula is used as a base for suppositories, pessaries, and pastilles. Since gelatin is an animal-based product, Agar Agar is the better choice. It is a seaweed that will “set” when cooled. However, alcohol-based extracts will have to be used in the formula instead of powdered herbs as alcohol will prevent bacteria growth in the Agar base. Put herb and glycerin into a blender and whirl until smooth. Pour into a clean jar and keep in a warm place. Shake daily for two to three weeks. Pour contents into a muslin bag and squeeze out the liquid, discarding the herbs. If desired, add honey and essential oil. Mix well and put into small amber bottles with droppers. Take at the first sign of a cold or flu. The dose is one to three droppersful three or four times a day for seven to ten days, away from meals. 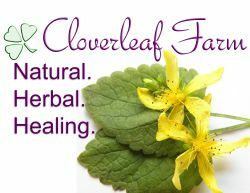 This glycerite helps stave off colds or the flu. If illness sets in, increase the dose to one to three droppersful every few hours for about a week. For children, half the dosage, depending on the child’s height and weight.